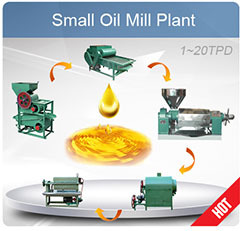 Copra oil expeller is a continuous oil press machine for once pressing of copra or the second pressing of pre-pressed copra cake in the coconut oil production line to obtain coconut oil. 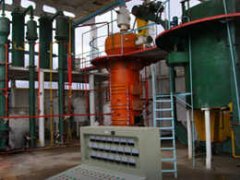 The operations from copra feeding, copra cooking, oil pressing and cake discharging are achieved automatically and continuously. Apart from copra, this coconut oil press machine is also suitable for pressing other oilseeds such as peanut, sesame, sunflower seed, cottonseed, rapeseed, soybean, camellia seed, tung seed, rice bran, flaxseed, etc. 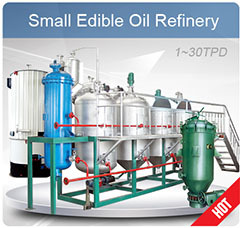 Coconut oil expeller is suitable for small and medium scale oil plants. 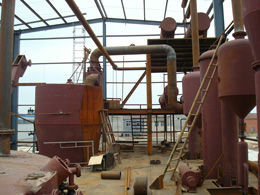 Main parts of the copra oil expeller adopt high-quality alloy steel and are hardened, sturdy and durable. Automatic and continuous operation, convenient to manage, saving labor. 1. 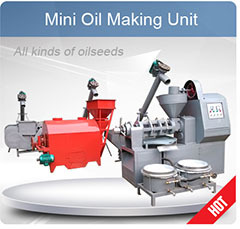 Copra oil press consists of feeding mechanism, worm shaft, bar cage, cake thickness adjusting mechanism, adjusting cooker and driving mechanism. 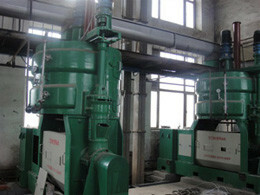 The worm shaft of the coconut oil making machine has seven sections of worms and six sections of intermediate collars sleeved on the shaft. The bar cage is composed of cage loading plate, cage bar, convex cage bar, the pressing plate, knife bar, spacer, special bolt, etc. The worm shaft and bar cage coordinate to form the barrel. 2. The knife bar which corresponds to the intermediate collar in position cooperates with the intermediate collar to turn the materials. When amounting the cage bars, the edge should be in the rotation direction of the worm shaft. Spacers are placed between the cage bars to form the oil flowing gap. 3. The materials from the feeding mechanism of the coconut oil expeller enter the barrel continuously. 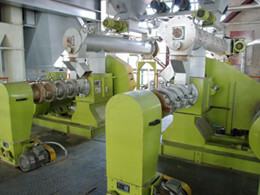 The worm shaft rotates anticlockwise and pushes the materials forward. 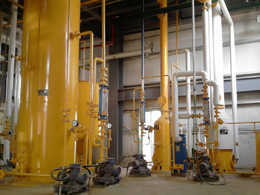 With the decrease of the barrel volume, the volume of the materials are compressed and the oil is pressed out and flows out through the gaps between the cage bars.